Our Product Range - Chillin' out in WA - Have an Ultralicious day! Home of the Award winning Ultralicious & Chef Kenny's range of Products. These are our winners at the Australia Wide 2016 Mr. Chilli Awards. Chillin' out in WA is proud to showcase our own range of Award Winning Hand Crafted Gluten Free Products. You'll find them coming to their own Page soon. We are also Importers & Wholesalers of Mexican Products & carry an assortment of Quality Hand Selected food products like Tortillas, Taco Shells, Beans, Chilies, and Salsas. 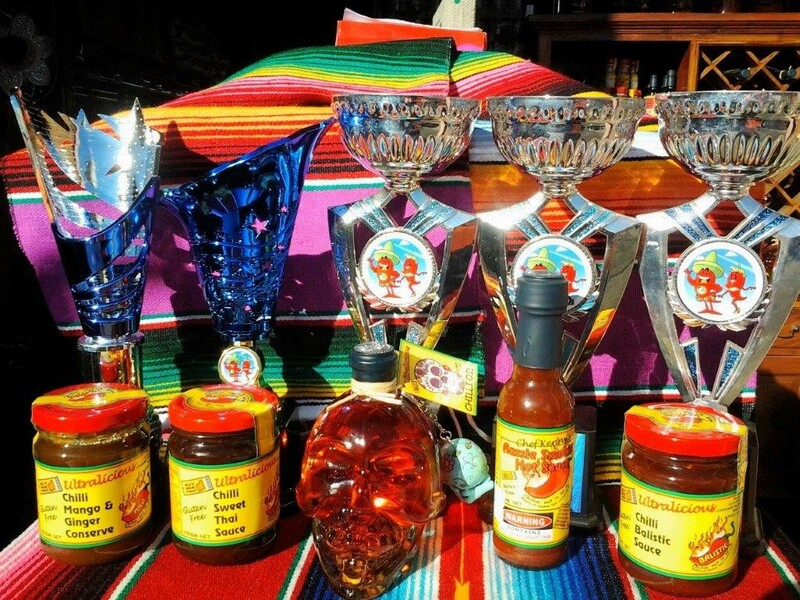 Not just food either, we also have Liquid Smoke, Kitchen Equipment and Mexican Apparel. We have Genuine hand made Sombrero Mariachi hats, rugs, serapes & poncho's.